Our shows are 2 hours long every day and you get to hear about the signs and wonders that the KING Dr HQ Nala perfoms everyday in peoples lifes. 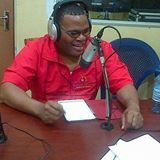 Dr HQ Nala's Radio program called "Izwe Lenala" broadcasts daily on different radio stations Monday to Thursday at 20H00-22H00 and Friday-Sunday at 21H00-23H00. We broadcast LIVE from our durban studios.